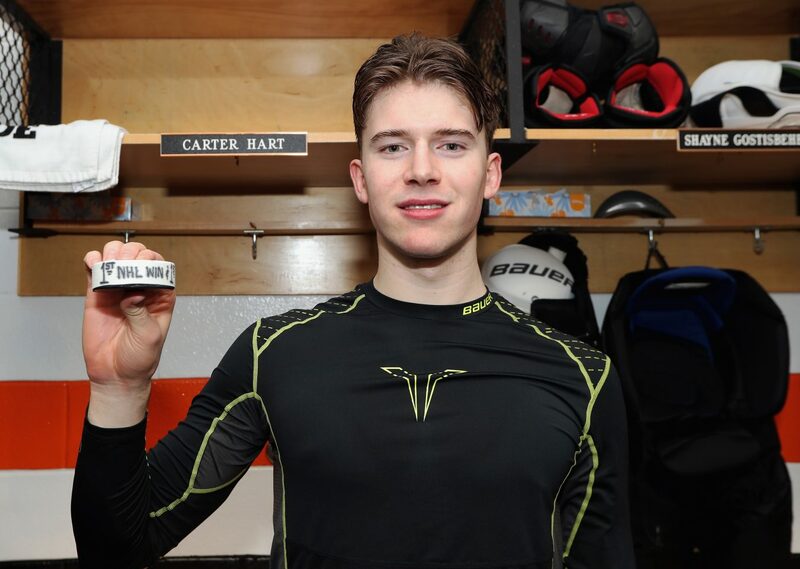 Carter Hart Wins Debut With Strong Start - The Point Data-driven hockey storytelling that gets right to the point. Last night, the Philadelphia Flyers started their 6th goalie in 35 games, an NHL record, but this one felt different. Unlike the revolving door of veterans and mediocre youngsters that previously took the ice, this 6th goalie brought genuine excitement in Philly. For the first time, prized goaltending prospect and 2016 second-round pick Carter Hart took the ice for the Flyers in front of the home crowd. Hart shredded the junior ranks for the last few seasons and was adapting well in the AHL, where he was planned to spend the whole year, as the team wanted to avoid rushing their top prospect. A combination of injuries and poor play, on top of a coaching change, threw a wrench in those plans and threw Hart into the fire yesterday and he has performed admirably. Hart received help from his team, as the Flyers tightened up defensively in front of the youngster. Playing the Red Wings, a bottom-10 team in goals scored, helped but there’s no doubt Philly fans are excited about having Hart in net going forward. 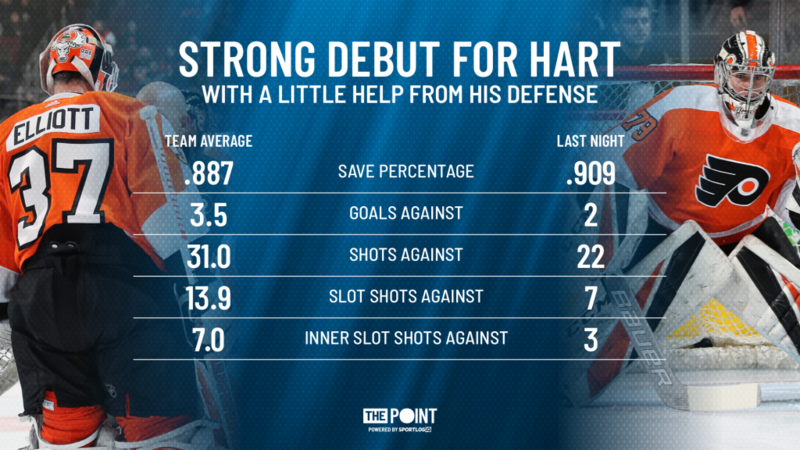 It’s obviously way too early to know either way, but Hart has Flyers fans excited about the goaltending position which is something that hasn’t happened for quite some time.